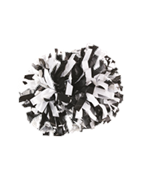 Do you need cheerleading or dance poms right away? The styles below are in stock in many colors and can be shipped within 1-2 business days via UPS Ground from either our California or Ohio warehouses. 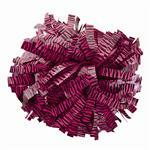 Or, checkout our Twist n Switch Convertible poms that can be shipped in 2-3 business days from New York. 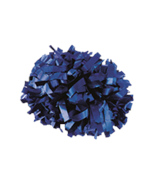 Choose from plastic poms, metallic poms, adult show poms with baton handles, youth poms, rooter poms, glitter poms, flash poms, 1, 2 or 3 color poms in pre-set colors. Need poms in different colors or styles? Millions of custom poms can be made to order. Email michelle@acdsports.com for details and pricing. No 1 or 2 day air shipments without prior approval to determine if there are extra dimensional weight charges. 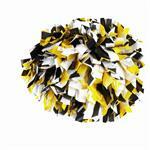 In Stock 2 color plastic show poms in with baton handles ship from Ohio in 1 business day. Minimum order 12 poms. 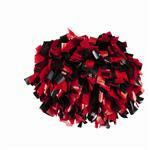 In Stock 3 color plastic show poms in with baton handles ship from Ohio in 1 business day. Minimum order 12 poms. 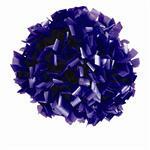 In Stock 1 color plastic show poms in with baton handles ship from Ohio in 1 business day. Minimum order 12 poms. Twist n Switch Convertible metallic pom is made of 2 pieces, so you can switch the style and color of your poms! Ships in 2-3 days from New York. Twist n Switch Convertible solid plastic pom is made of 2 pieces, so you can switch the style and color of your poms! Ships in 2-3 days from New York. Twist n Switch Convertible two color plastic pom is made of 2 pieces, so you can switch the style and color of your poms! Ships in 2-3 days from New York.